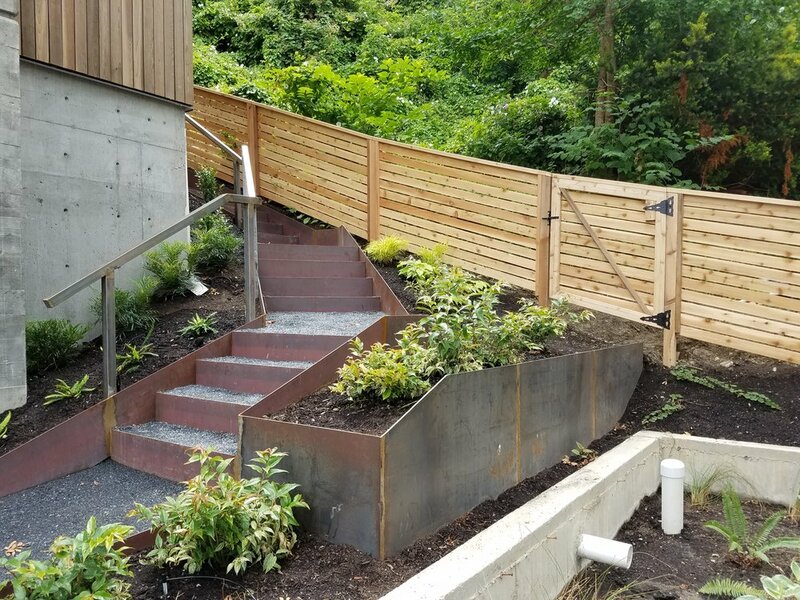 Architerra Designs was tasked with building this front entrance steel staircase at a residence in the Madison Park neighborhood of Seattle. Many of the pieces were cut offsite but much of the fabrication took place on the steep hillside. 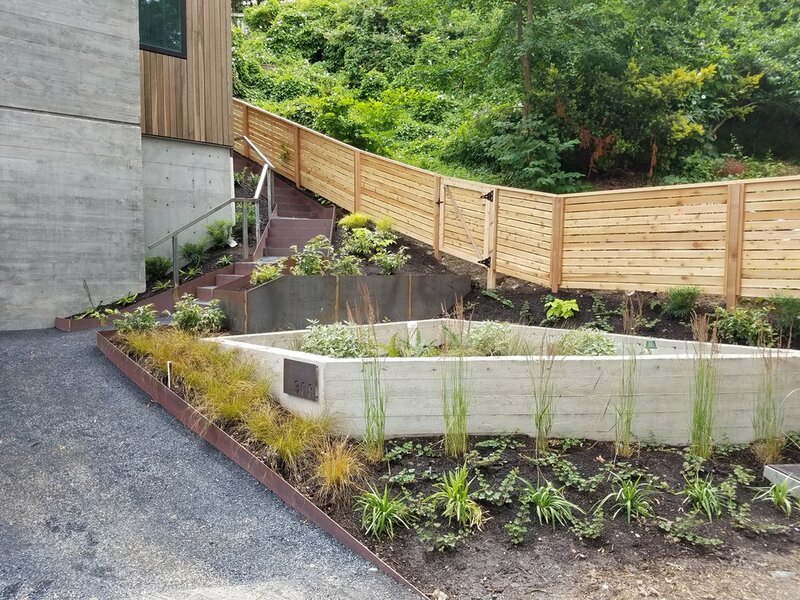 This stair case incorporates a handrail, low retaining walls/stringers on both sides and a larger retaining wall adjacent to the bio retention planter at the bottom the hill. The custom steel stairs and retaining walls transition into steel edging along the driveway.